American Red Cross is a humanitarian organization that provides medical relief, assistance, and education in the United States. 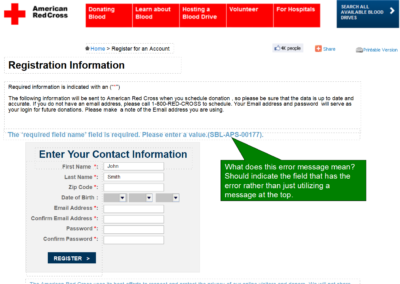 American Red Cross wanted to revamp their login process. They were struggling with conversions and getting signees to schedule donations. 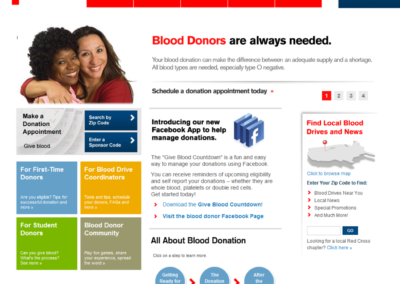 The call-to-action for scheduling a donation wasn’t clear enough on their main page. We created a permananet link to ensure users would be able to signup regardless of the current banner that was being displayed. 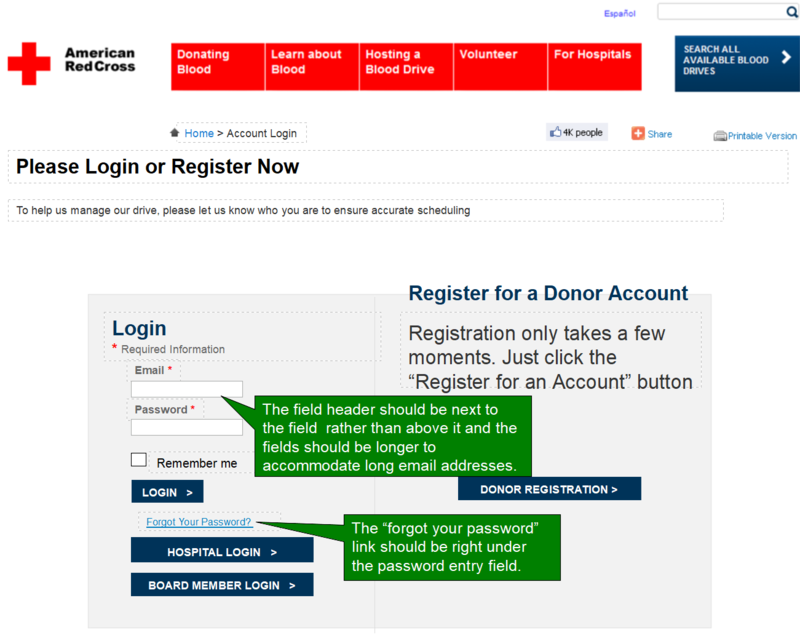 The login/signup pages were more difficult to use than they needed to be. We cleaned up the fields and made everything more user friendly. 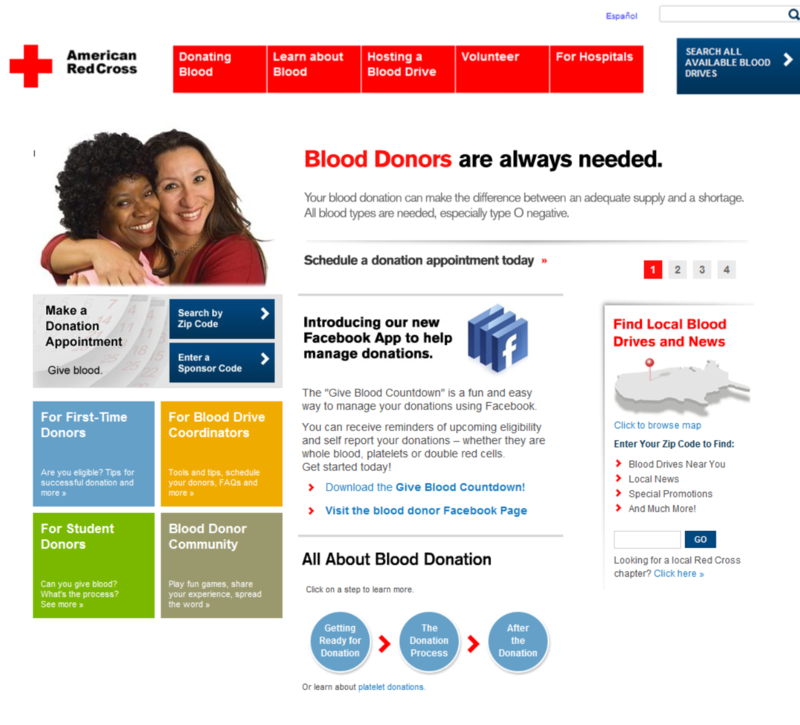 Utilized best practices to move critical information above the fold. 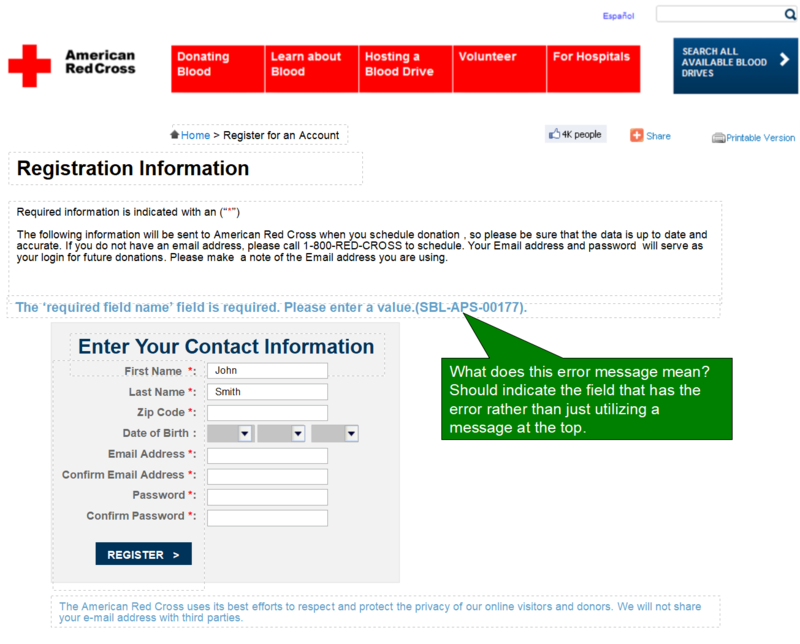 Clarified error messages and codes to help users complete the process. Home equity pages need to have highly visible calls to action, break up the form into related parts, and inform users how long the process will take before starting. 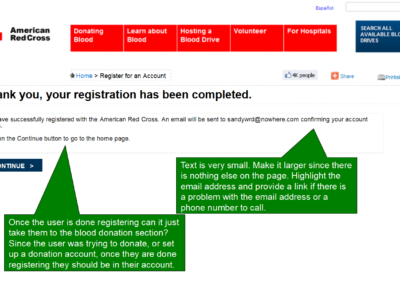 We performed general UX cleanup such as increased font size, clearer links, and page identification. 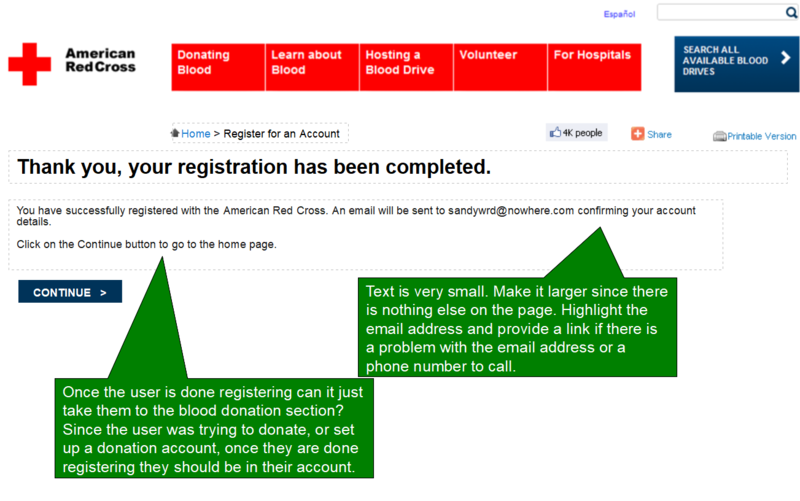 Their site was lacking in the flow between signing up for donations and actually scheduling an appointment. I went through and tagged small tweaks that could be made to dramatically improve the user experience. 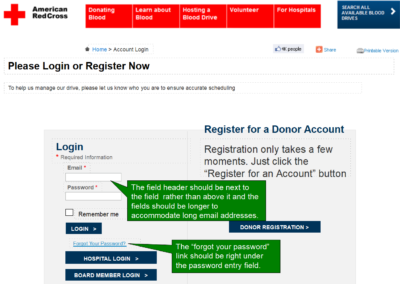 I highlighted issues with thier current signup pages. I created a mockup with just a few tweaks to highlight certain changes that could easily be implemented.